Welcome to our newest edition of our periodic feature Upfront Mini Bytes. In Upfront Mini Bytes we provide eight tasty bits of genealogy news that will help give you a deeper byte into your family history research. Each item is short and sweet. We encourage you to check out the links to articles, blog posts, resources, and anything genealogical! We hope you found the past editions helpful. Use your favorite search engine with “Upfront with NGS” “Mini Bytes” or use this Google search link. Do you have questions, suggestions for future posts, or comments? Please post a comment or send an e-mail to [email protected]. Laws are important. Free access to legal information is great. Check out this great collaboration between the Law Library of Congress and the legal publishing company William S. Hein & Co., Inc. as described by The Legal Genealogist. Burials for the Cook County Cemetery at Dunning, IL are now online! With over 38,000 burials spanning some seventy years, it served as an institutional cemetery for the Cook County institutions. These consisted of the County Poor house and farm opened 1854, the Insane Asylum opened 1869, the infirmary opened 1882, and the Consumptive hospital (TB), opened 1899 and was the official Cook County potters field serving the poor and indigent of the county. Read the article, Database Remembers Chicagoans Buried, Forgotten in Dunning Cemetery, to learn more. A research challenge we run into is when currency changes. How do we get a grasp on obsolete currency? The International Society for British Genealogy and Family History (ISBGFH) has posted a nice & short summary of Post- and pre-decimalization monetary units (covering British currency). New Zealand now has more than 140,000 World War 1 service files online. Search the database here. Read more about the project here. Tennessee research has just gotten easier. More than 1500 bible records are available on the website of the Tennessee State Library and Archives. You can access the project here and read more about it here. 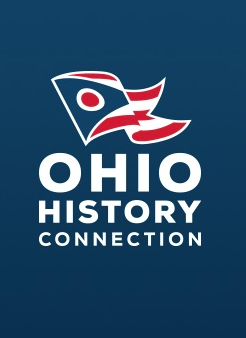 The Ohio History Connection’s State Archives’ online catalog of death records has expanded. On October 1, the Ohio Department of Health transferred nearly two million death certificates from the years 1954 to 1963 to the Ohio History Connection. Fort Dodge (Iowa) newspaper archive is now online. It covers 56 local and area newspapers and publications for the years 1856-1934. The University of New Hampshire has some neat Maps & Atlases online with the earliest item a Gazetteer of the state of New Hampshire from 1817. TODAY is Ask An Archivist Day! A visual journey of Archives Month 2014 posters! FREE NARA Webinar TONIGHT -- Primary Sources!